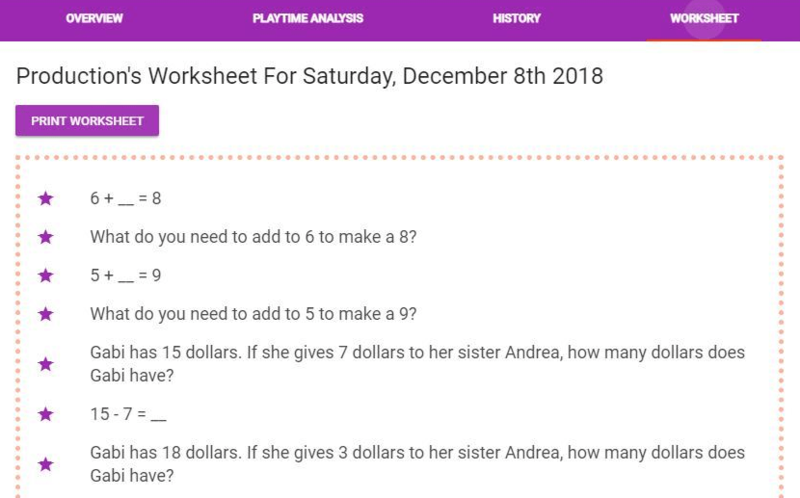 Worksheets are generated using the current activities from each subject. Each day, you may print out worksheets and use them to supplement the activities. The worksheets are optional, and they do not need to be done on a daily basis. Playing the games is preferable because the worksheets do not update the adaption algorithms. The worksheets may also be used for motivation, by giving the student a choice between doing the worksheets or playing the games. Children should choose the games, and if they do not please let us know.